Kelly Young-Silverman is a Midwestern girl living in the South who loves to tell stories. Her work ranges from screenplays and stage plays to children’s stories and young adult novels, including the stage play Family Photos for which she won the Dajero Play Festival’s Best New Writer and Best Actor Awards. 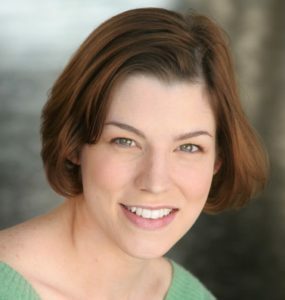 In 2009, Kelly co-founded Cakebaby Productions with her husband, actor/filmmaker, David Marshall Silverman. Through Cakebaby, Kelly and David have written, directed and produced several award-winning short films, and have had their worked screened nationally at prestigious festivals including The Atlanta Film Festival, Palm Springs International ShortFest, Dances With Films, and DC Shorts. Kelly’s experience is eclectic to say the least: education, advertising, theatre, film, and (most recently!) motherhood. Man in the Moon is the first book in a series of nighttime stories by Kelly and illustrator Erin Wicker.